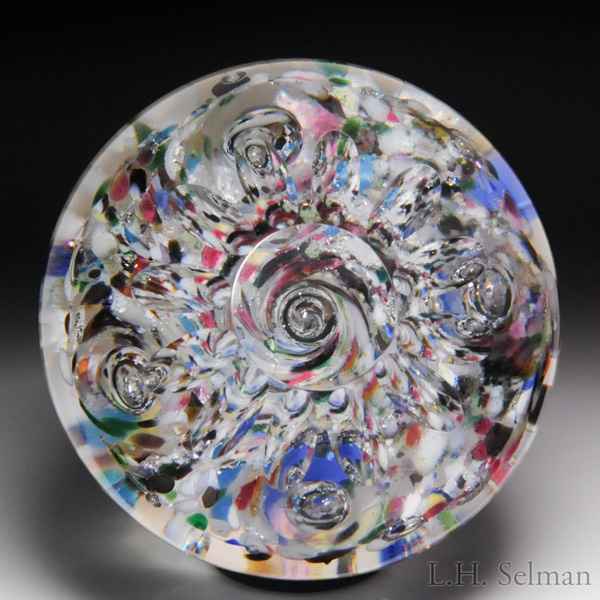 Unidentified antique, possibly Bohemian, abstract frit air bubbles faceted paperweight. An undulating plane of colorful frit is pierced downwards by five air bubbles to settle on another plane of frit. Small top facet with radiating printies. Minor surface wear. Diameter 3 1/4", height 3 3/8".